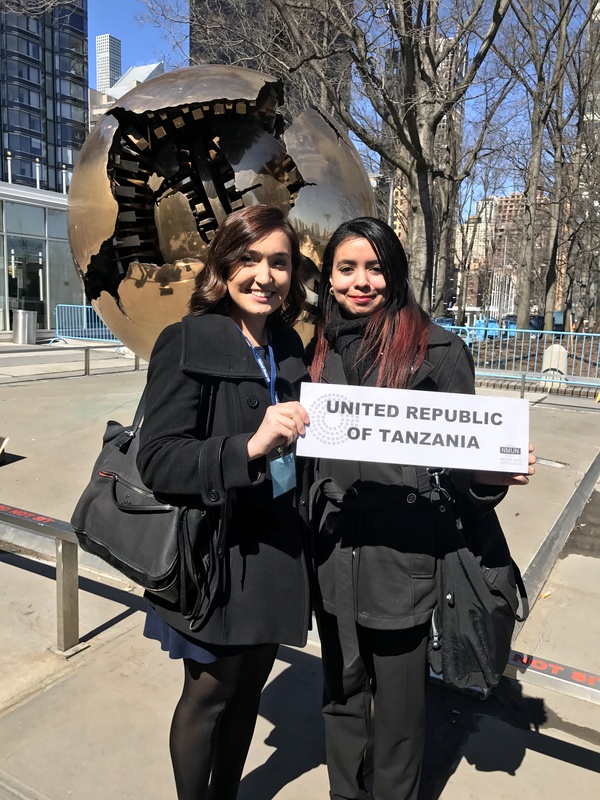 Deanna Turzi ’17 (left) and Elianie Disla ’18 (right), at United Nations Headquarters, representing Tanzania at the 2017 National Model UN conference in New York City. The 2017 National Model UN conference in New York City was my first. I represented the United Republic of Tanzania in the Commission on the Status of Women (CSW). I took Model UN my senior year because although I have always been interested in the course, I was nervous about the public speaking element. Looking back on my own experience, I wish I had done it sooner! If you are nervous about any part of Model UN, don’t let your fears drive you, just go for it! As a reserved student who would have never seen herself in a conference like MUN just a year ago, I can tell you that during the course you will gain confidence, skills, and friends to help you face your fears. If you are reading this, it means you have already expressed interest in the course. I can say from experience that you will love every aspect of the class, even the public speaking. Worried about research? Don’t be. The Faculty Adviser Dr.Bolton, your fellow delegates, and head delegates will be there to help guide you through every phase of the journey, from the first outline to the closing ceremony and beyond. Through this experience I have not only gained friends in class, but at the conference as well. My commission was a small one of about 70 people. (Tip: If you are worried about public speaking or the size of the conference, choose a smaller, more intimate committee!) The size of the committee allowed me to truly get to know my fellow delegates on not only a diplomatic level, but a personal level as well. My research taught me to be diligent. The conference allowed me to negotiate and understand the skills needed to be a diplomat. The class encouraged me to be confident in my work. Overall, Model UN taught me skills I can transfer to every aspect of my life. It is truly a once in a lifetime opportunity to complete such a unique learning experience. So don’t let those fears hold you back from this amazing opportunity! Just go for it. I can promise you, you will not be disappointed! This entry was posted in Student Delegate Blogs and tagged CSW, Deanna Turzi, Elianie Disla, National Model UN, New York, NMUN. Bookmark the permalink.